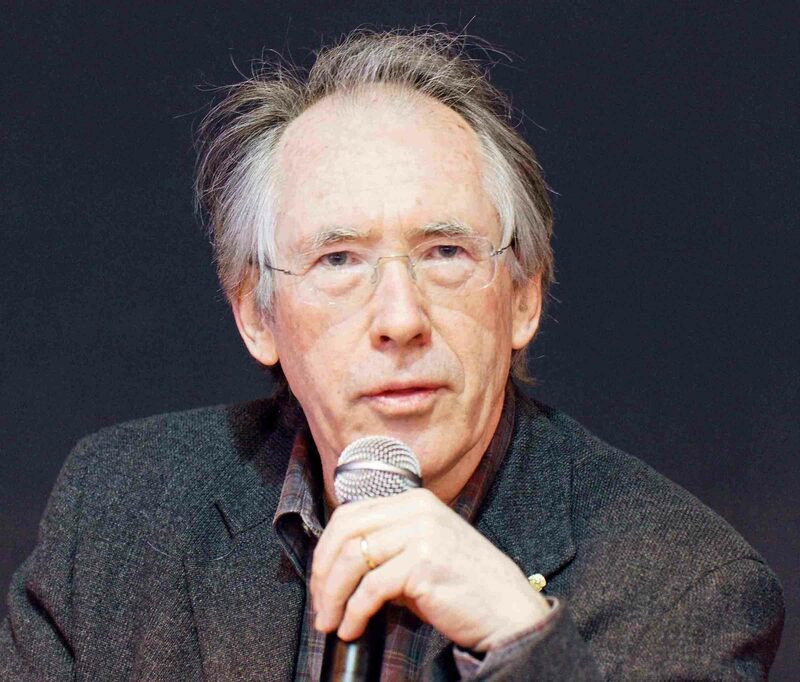 Ian McEwan, photographed during the 2011 Paris book festival. Image courtesy of Wikimedia Commons. Here’s how my 2012 reading challenge is going with reviews of November’s selections. Standard disclosure: I bought the McEwan book and the Bean play and borrowed the rest from my local library. All are included in my Amazon Affiliate store. I receive a small percentage of each sale made through that widget. All opinions here are my own. 6 down, 1 to go! Serena’s is no Ian Fleming or John le Carré tale, however. After months toiling in obscurity, her first real assignment is to vet writer Tom Haley, his short fiction and journalism, and report back to MI5 whether she thinks he’s ideologically sound enough to receive funding (funneled through a literary foundation to make it look legit) – a gamble on his future output and whether it’ll hue to the party line. At this point, the reader familiar with McEwan’s work will note that Haley’s short stories are McEwan’s (wink). Because Serena is “the basest of readers,” only interested in stories with protagonists like herself, she doesn’t have the kindest words for Haley’s sexually depraved characters and “tricksy” plots, and her observations seem derived from those (few) less-than-favorable reviews of McEwan’s first collections (wink, wink). Turns out Tom has surprises up his sleeve, too. The financial windfall allows him to finish a novel, much like The Road, which proceeds to win a major literary prize (just as The Road did), while McEwan dissects the bleakness of the novel (wink, wink, wink) in the guise of Serena’s MI5 handlers, complaining that their largesse has been used to fund a novel that criticizes, rather than celebrates, western society. Meanwhile, Tom finds himself giving readings with McEwan’s friend Martin Amis (wink, wink, wink, wink), as the young Amis makes his dazzling literary debut with The Rachel Papers. But Tom’s fame won’t be of the same order as Amis’. Still, he gets the last wink in Sweet Tooth, which veers a bit too close to Atonement, with its twisty, epistolary ending. Depending on whether you loved or hated Atonement (I’m the latter), the final chapter will send you back to the beginning of the book, desperate to re-read and reassess, or it’ll make you want to heave the bloody thing across the room. It’s taken me a while to warm to le Carré. All that Cold War-mongering seemed of my parents’ generation. But, when the remake of “Tinker, Tailor, Soldier, Spy” appeared last spring, I saw it twice and enjoyed the nuanced storytelling. Reviews tended to zero in on le Carré’s “peel-back-the-onion-layers” approach. That tactic – which keeps you on the edge of your seat – is in full form in le Carré’s third novel, published in 1963, which brings the reader up to date on British intelligence characters, introduced in his first novel, like Control, George Smiley and Peter Guillam, as well as their is-he-or-isn’t-he arch-enemy Hans-Dieter Mundt, an East German assassin. Le Carré’s protagonist this time is Alec Leamas, back in England after a disastrous stint in Berlin, where the agents he was running were picked off, one by one, by someone on the eastern side of the Wall, most likely Mundt. The first part of the novel involves Leamas establishing his cover, disgraced and fired from “the Circus,” le Carré’s nickname for British intelligence, and drifting until he winds up in jail. What sets le Carré apart, of course, is his time in the trenches, working for the MI’s 5 and 6 during the Cold War. But real-world experience doesn’t guarantee good writing, and that’s le Carré’s other secret weapon. It’s his ability to set the scene with perfect detail (“She reminded Leamas of an old aunt he’d once had who beat him for wasting string.”) – this is what makes the subterfuge so thrilling, when the reader realizes she or he has been set up to believe one thing when what’s really true is quite another. Le Carré was one of the early writers to cast the Cold Warriors in ambiguous terms; the West wasn’t always moral and expediency shaded intelligence operations. I’m looking forward to reading more about the Circus’ tiny wars – and, next time, I’m going to start at the beginning. Glyn’s need to unearth the truth disturbs the foundations of Elaine’s relationship with her husband Nick and with Kath’s beloved niece, Polly. Even people peripheral to Kath’s life are shaken up. It’s a premise along similar lines to Kyung-sook Shin’s Please Look After Mom, winner of the 2012 Man Asian Literary Prize, and a tale equally stunning, heartbreaking and well told. This is the second Lively novel I’ve read in the span of several weeks and just as delicious. With more than a dozen other novels to her credit, I’m looking forward to reading more from this great writer. Despite the sadness, there’s an urgency about Sister that kept me reading this debut novel late into the night. The suspense, when Tess goes missing and Bee jets back to London to find her, drives the reader on – long past the point when the plot becomes ridiculous. I’d been warned by a review that this was the case. It’s no spoiler to let you know that Tess is found dead in an abandoned park lavatory because the main thrust of the novel is Bee’s single-minded pursuit of justice for Tess, who she believes was murdered. The police and everyone around Bee are convinced it was a suicide and that Bee just can’t bring herself to admit this fact. But, it also puts her at risk of meeting the same fate, since whatever evil force overtook Tess is still out there. This is where Sister breaks apart entirely. Like a TV procedural, there are many false leads, people with suspicious motives to be questioned and set aside. Unfortunately, the author’s decision to bring a big pharmaceutical company and its clinical trial into the mix ultimately does the plot in. Just like Ann Patchett’s laughable State of Wonder, where Big Pharma Is The Bad Guy, Lupton hasn’t a clue how clinical trials are managed and regulated. For lack of research, a well-paced, well-written plot unwinds into sheer silliness. Next time, let’s hope Lupton sticks with what she knows, which includes a stunning poetic ability to define a character’s heart and soul. This guy Portnoy sure does complain a lot. He complains about his mother. He complains about his girlfriend (“Who sets off inside me daily explosions of disapproval, hourly thunderclaps of admonition!”). He complains that the world doesn’t cater to his every need. He complains enough to fill an entire book. As Rabbit Run was in 1960, Portnoy’s Complaint was considered groundbreaking in 1967. I’m old enough to (barely) remember ’67 and the times as they were a’changing, but reading this in the 21st century is a bit disconnective, which is unfortunate. It’s hard to imagine someone who doesn’t remember the ‘60s understanding exactly what’s going on. And it would be a shame to bypass such great writing, such a great character, because it feels like we’ve met him before. If that’s the case, it’s because Roth made him up first. If only he knew, Portnoy would complain about that too! I had the pleasure of catching this British import when I was in New York City in August. The play is uproarious. Reading the book brought it back to life and demonstrated how a beautifully crafted structure can support the anarchic talents of an actor like James Corden, who plays Francis Henshall, the One Man of the title. 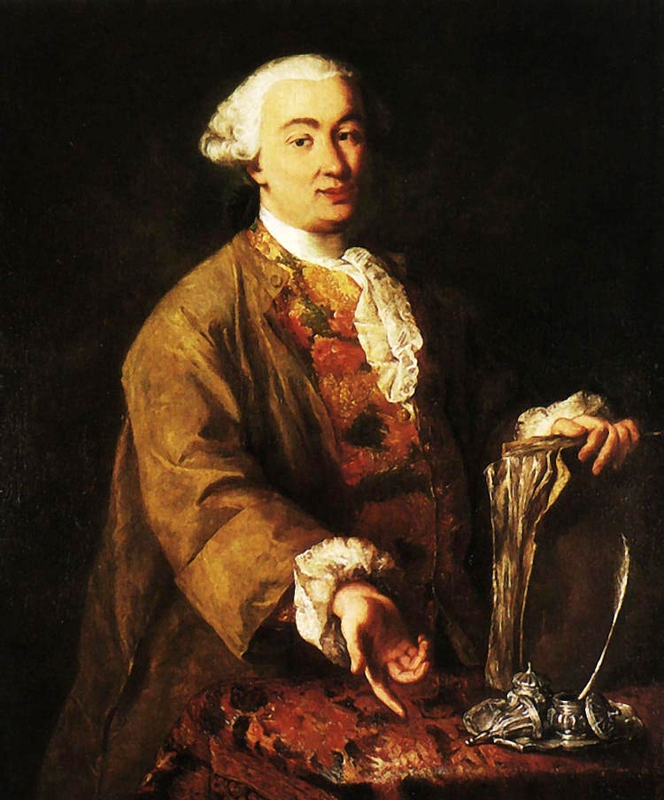 Playwright Carlo Goldoni (1707-1793). Image courtesy of Wikimedia Commons. Bean’s farce allows the improvisational brilliance of Corden, till now content to play sidekick in U.K. television’s “Gavin & Stacey,” to come to the fore. Here, he takes on the role of the Harlequin, a man driven by base urges, causing chaos, but no less than the characters around him. I agree. Outside of “Arcadia,” this is hands down the best evening I’ve had on Broadway in decades (and that includes plays by Wendy Wasserstein, whom I love, and seeing Whoopi Goldberg in the revival of “A Funny Thing Happened on the Way to the Forum…” in which nothing funny happened). Bean updates a commedia dell’arte classic, “The Servant of Two Masters” by 18th century Italian playwright Carlo Goldoni, setting “Two Guvnors” in early ‘60s Brighton. Rachel is determined to collect a large debt, owed to Roscoe, which will allow the runaway lovers to hide out in Australia. Meanwhile, Francis has lost his gig with a skiffle band (a lively skiffle band plays onstage as the audience finds its seats before the play begins, at intermission, and at scene changes). Broke and hungry, he accepts Rachel/Roscoe’s offer of a week’s work in Brighton, but all he can think about is fish and chips, and he doesn’t get paid until the end of the week. Enter Stanley, who also needs an assistant while on the lam, and who’s willing to pay Francis by the day. Now all Francis has to do is keep both guvnors in the dark about his double dipping, keep his duties straight, and remember that he’s engaged in yet another deception, playing his doppelganger Paddy, in order to impress a dame, called Dolly. Corden puts his portly frame to perfect use throughout, but perhaps best during the first bit of improv, when Francis tries to lug Stanley’s steamer trunk into the hotel. He can’t budge the obstinate trunk for trying and resorts to calling two beefy members of the audience up on stage to help him. There’s a brief mention of audience improv in the book. What ensued on the night I attended was 20 glorious minutes of comedic riffing – the word “side-splitting” comes to mind – and this was his second show of the day! See this wonderful version of a comedy classic if you have a chance and, if not, the book sure looks good from here.